Ask Allergy Aunt: How do I make my In-Laws understand cross-contamination risks? We are relatively new to dealing with a peanut allergy for my daughter. I have a question. We are visiting my in laws for 10 days. They want to be onside with the no peanut product policy but still don’t seem to fully get it. Today my mother-in-law buys fresh bagels baked in a non-peanut free bakery and says “oh of course she can’t eat them…” At our own home we just wouldn’t buy something like this … So what do you say? How do you handle situations when you’re in someone else’s house? I truly don’t think she’s trying to be dismissive. She just doesn’t understand the risk. Also my daughter is only a year so she’s handled by others regularly. 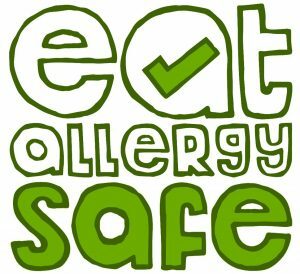 When it comes to being in other people’s houses you need to make sure that your child can be safe from allergens. It is great that your In-Laws want to to be “onside” with the no peanut product policy, that is a first step. It seems that your Mother In Law doesn’t understand the severity of cross-contamination and how far reaching cross contamination can be and the impact it could have on your daughter. The way to deal with this is to continue educating your In-Laws and anyone who comes into contact with your daughter. Explain to your Mother In Law and anyone else caring for your daughter, plainly, calmly and without emotion (I know, easier said than done however it is necessary to keep your emotions in check). You need to explain the facts about allergies and how for your daughter a small amount, even a tiny amount can cause a big problem. Tell her you understand it is her house and she can buy these bagels if she wants however, because she has them in the house you have to take precautions x, y and z to keep your daughter, her grand-daughter, safe from the possible cross-contamination from the bakery. Find stories from other mothers or allergy sufferers of their experiences for your In Laws to read or listen to. Teach them how to administer your daughters medication and what her allergy action plan is. There may be a time when you can’t get there in time and she will have to save your daughter. Allergy awareness, acceptance and understanding comes through experience. Your Mother-In-Law hasn’t got that yet, so be patient. Do what you need to do to keep your daughter safe in a manner-of-fact, without emotion type of way. This allergy is just a fact of your daughters life and precautions must be taken for her until she is old enough to take them for herself.